Plastic injection moulding is a hugely common method of plastic forming, it is used in a wide variety of objects you see and use in day to day life, things like shampoo bottles, hair brush handles, children’s toys, car dashboards, games consoles. Plastic injection moulding is more efficient when producing parts with thicknesses no larger than around 3mm, this is because thicker parts take longer to cool off before they are released from the mould. Thicker walls in moulded parts also risk having problems with material shrinkage, to combat this when wall strength is required the use of ribs or fillets are implemented. 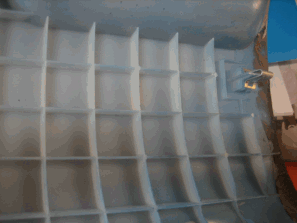 Above shows the use of ribs to help strengthen the plastic structure. 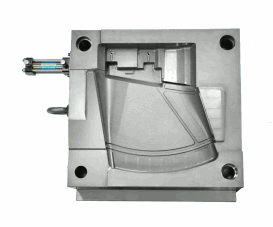 Moulds have two plates, the injection mould and the ejector mould, plastic resin is injected under pressure into the mould cavity via runners or channels, these runners are grooves machined out of the mould which allow the plastic resin to be directed to points throughout the mould where it can enter and fill the cavity. Small air vents are machined into the moulds to help air escape, however if air became trapped within the mould it would prevent plastic resin flow from filling its space causing a defect. Once the mould cavity is filled the plastic is usually helped to cool off with a coolant which runs through machined channels within the mould plate. 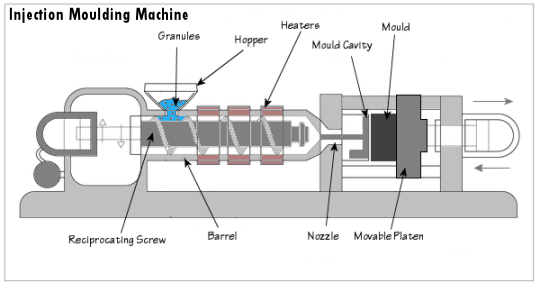 Injection moulding is an efficient means of mass producing parts to the same high tolerances over and over. Injection moulding is not labour intensive and little waste is produced from the process as there is little in the way of off-cuts. The moulding process leaves a good finish therefore further finishing is not always required. The initial set up cost is high, this is because all of the required moulds must be produced first, also all parts must be designed with the ability to be moulded in mind.